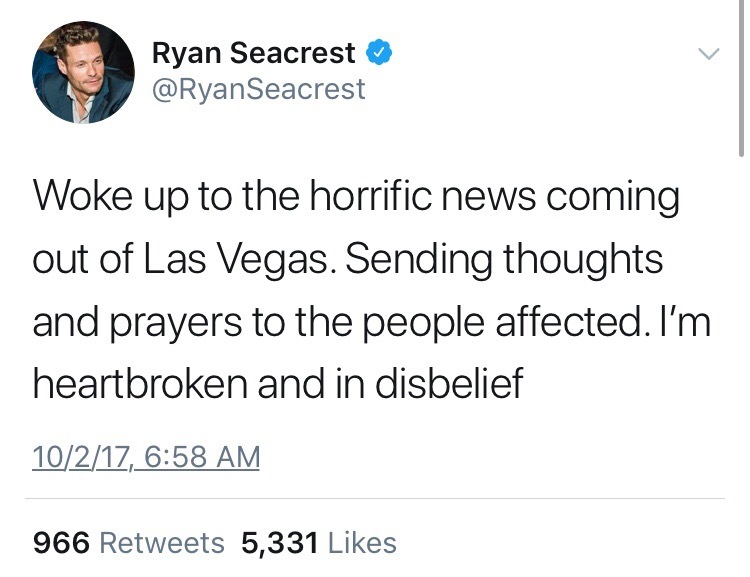 This past Sunday night, October 1st, 2017, Las Vegas experienced the biggest mass shooting in modern American History. During the closing night of the Route 91 Harvest country music festival, Jason Aldean’s set came to a sudden halt when random and continuous gunshots were heard in the venue. We later find out that this open fire was coming from a 32nd floor window of the Mandalay Bay Hotel and Casino. 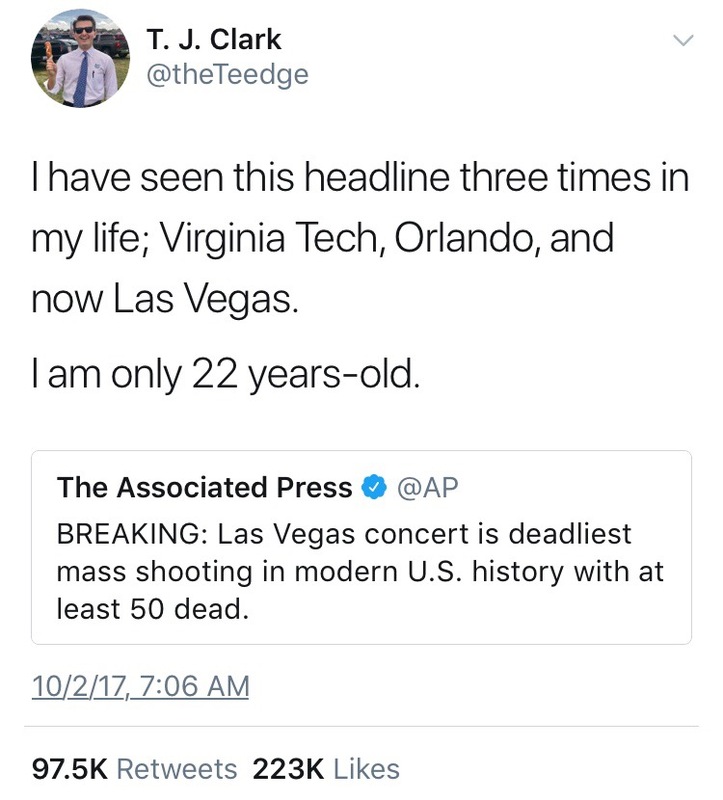 Behind the numerous number of automatic rifles was 64-year old man, Stephen Paddock. Paddock checked into the resort on Friday, September 28th, where records prove his participation in gambling with large amounts of money, although according to his family, he is recently unemployed and single. Checked into a pair of connecting rooms facing the concert stage, Stephen in some way brought over 10 automatic weapons up to his hotel rooms, as well as two tripods and over 100 rounds of ammunition. It is believed that he smashed the window of his suite with some sort of hammer before firing for over 10 minutes onto the packed crowd. He was found dead at the scene by SWAT members and police officials. 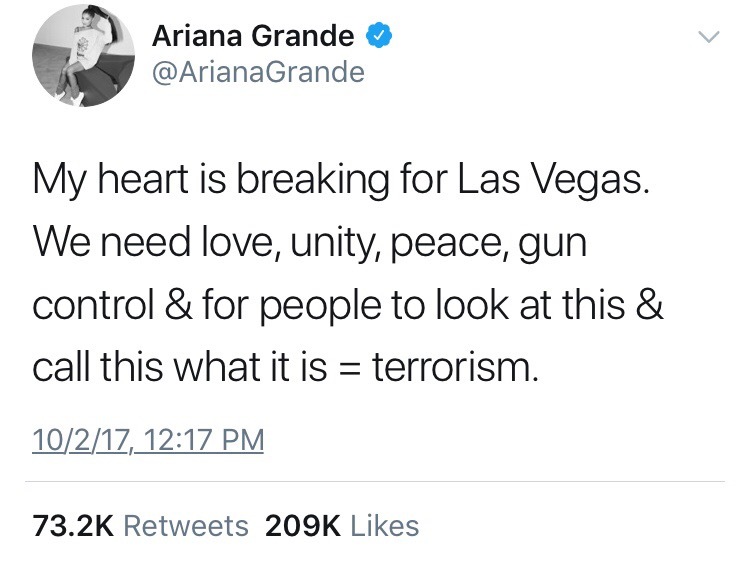 At this point in time, 59 people are reported dead with over 500 wounded. 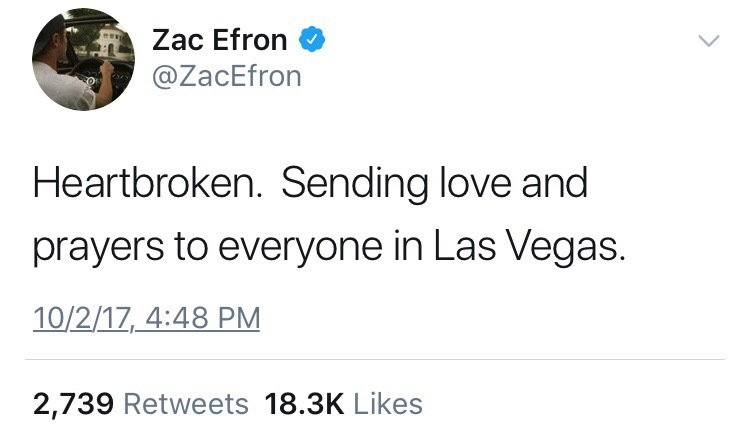 Las Vegas is in shut down as the community is mourning this tragic massacre. FBI and local officials have begun the investigation on Paddock, specifically searching for motives, as he holds no criminal record. 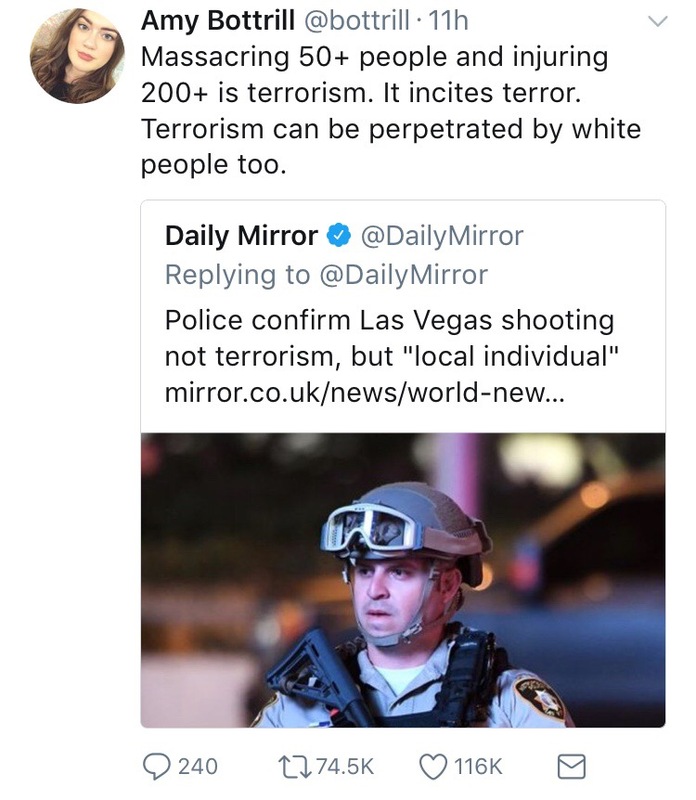 Although in early stages, the FBI has denied all ties of Paddock to ISIS, as the terrorist group released a statement taking credit for the incident. Officials put it off as them wanting attention and credit to any and all harmful acts. 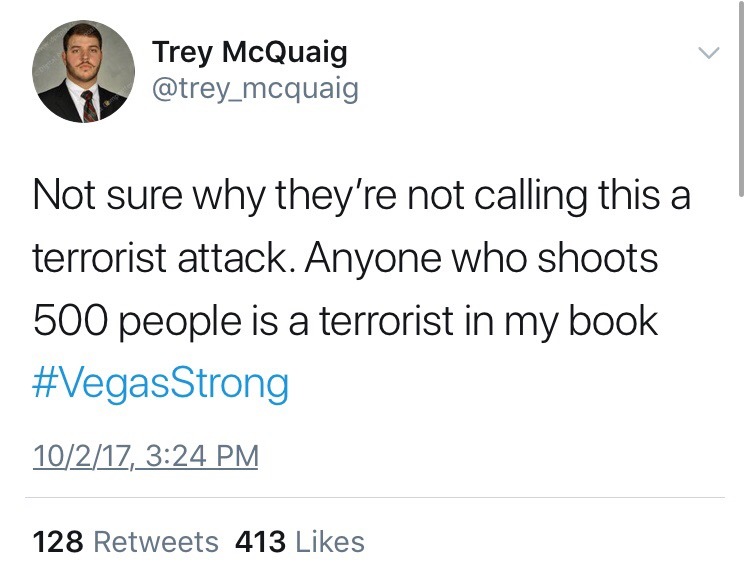 But that doesn’t mean that this wasn’t an act of terrorism. 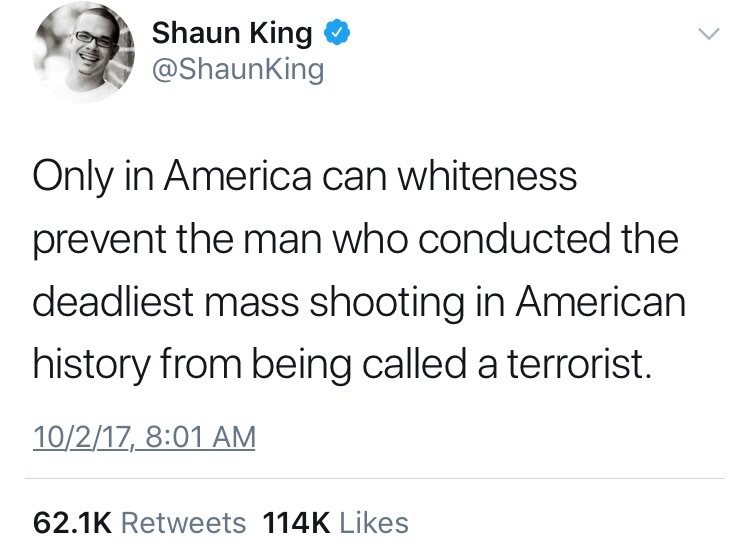 Numerous people have shared their opinions on the excuse given to the white male shooter on social media. As important as learning more about Paddock is, the nation is in fury and sadness. Barely a year after the Orlando Nightclub shooting, which surpassed Virginia Tech as the biggest mass shooting in history, innocent people are targeted in a setting so innocent. 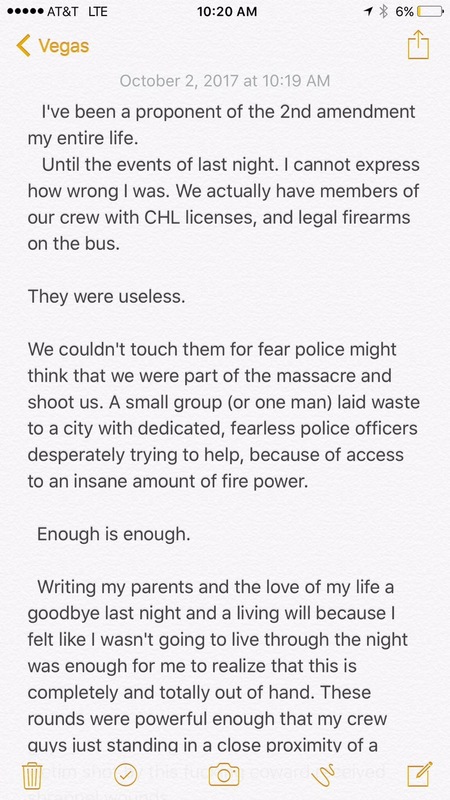 The topic brought up by this sadly recurring circumstance is the issue and argument of gun laws and restrictions. With the 2nd Amendment being brought into question, people shared their beliefs on Twitter. A significant point of view coming from guitarist Caleb Keeter who was in attendance of the festival. 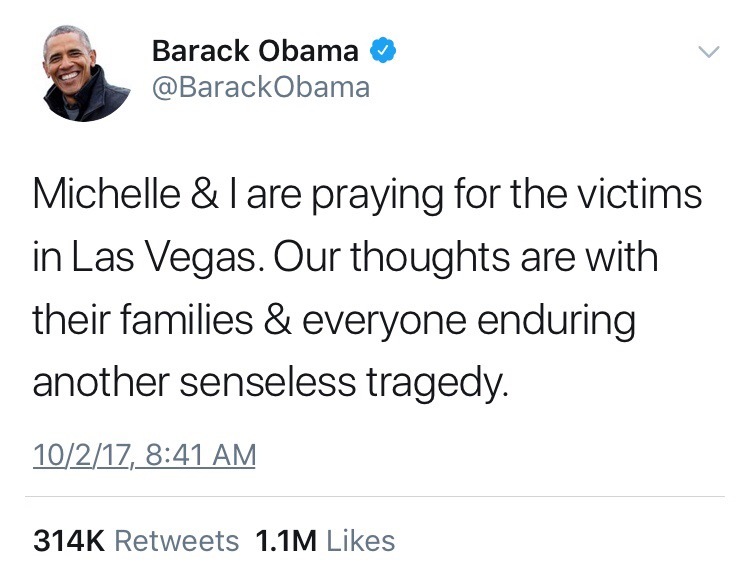 Numerous celebrities and organizations across the world shared their condolences and prayers for the people of Vegas, some including Ryan Seacrest, Ariana Grande, Harry Styles, as well as Barack Obama. 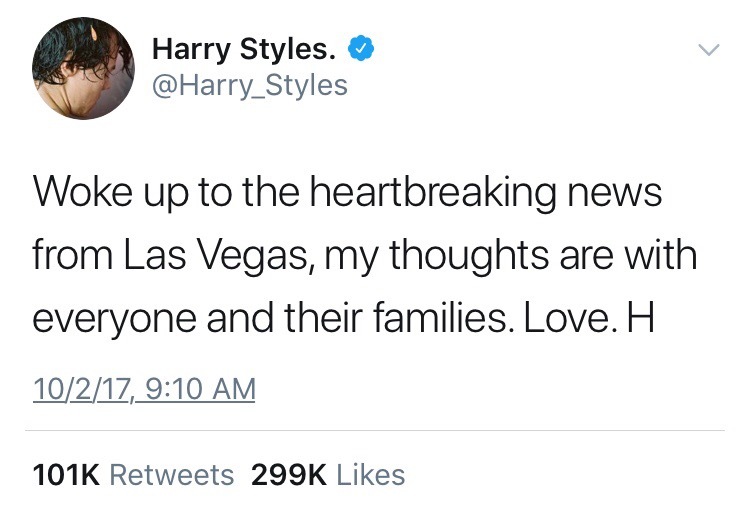 A GoFundMe page was created to help raise money for the victims of this tragedy, having already raised over $3 million. Blood banks are frantically accepting as many donations as possible in order to assist those in need. Even if you are all the way across the country, you can help. Either by donating money, blood, or prayers. This is a time where the people of our country must come together in order to make changes for the better. 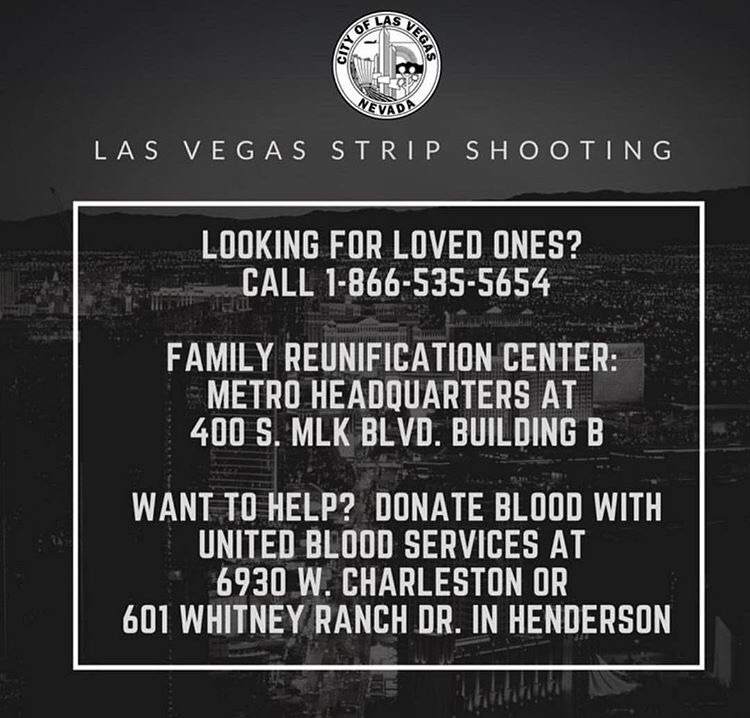 For more information on the Las Vegas shooting, check out the links below.